RHEL 5.9 RELEASED WITH HYPER-V INTEGRATION! The Hyper-V momentum continues and Microsoft commitment to interoperability pays off again. Today, Red Hat announced the release of RHEL 5.9 which includes the Hyper-V Linux Integration Services built-in. New Virtualization Capabilities and Flexibility in Multi-vendor Environments. Red Hat Enterprise Linux 5.9 enhances the operating system’s usability in multi-vendor environments by introducing Microsoft Hyper-V drivers for improved performance. This enhances the usability of Red Hat Enterprise Linux 5 for guests in heterogeneous, multi-vendor virtualized environments and provides improved flexibility and interoperability for enterprises. Should you use fixed or dynamic virtual hard disks (VHDs) for your virtual machines? The basic dilemma is the balance of performance against space utilization. Sometimes, the proper choice is obvious. However, as with most decisions of this nature, there are almost always other factors to consider. Although the focus of this article is on VHDs, it would be incomplete without mentioning past-through disks. These are not virtualized at all, but hand I/O from a virtual machine directly to a disk or disk array on the host machine. This could be a disk that is internal to the host machine or it could be a LUN on an external system connected by fibrechannel or iSCSI. This mechanism provides the fastest possible disk performance but has some very restrictive drawbacks. If the underlying disk storage system grows (such as by adding a drive to the array) and the virtual machine’s operating system allows for dynamic disk growth (such as Windows 7 and Server 2008 R2), the drive can be expanded within the guest without downtime. LiveMigration of VMs that use pass-through disks are noticeably slower and often include an interruption of service. Because pass-through disks are not cluster resources, they must be temporarily taken offline during transfer of ownership. Hyper-V’s VSS writer cannot process a pass-through disk. 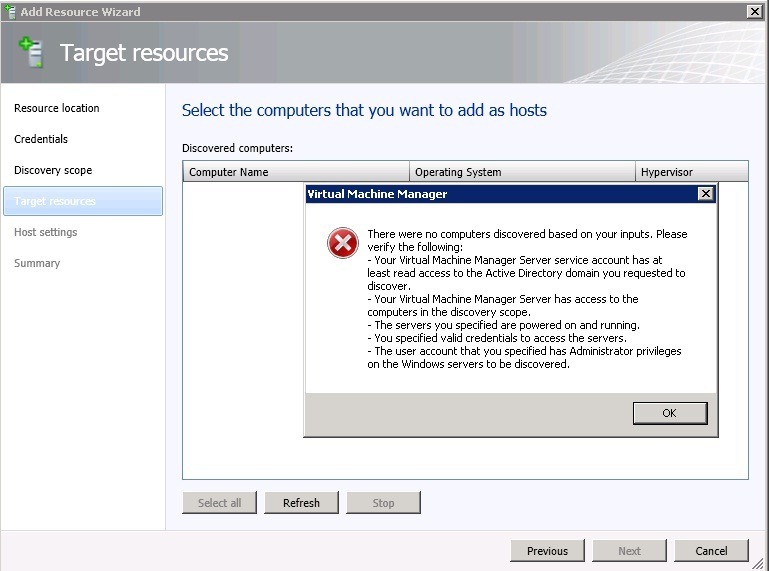 That means that any VM-level backup software will have to take the virtual machine offline while backing it up. Volumes on pass-through disks are non-portable. This is most easily understood by its contrast to a VHD. You can copy a VHD from one location to another and it will work exactly the same way. Data on pass-through volumes is not encapsulated in any fashion. Since it has been a while, will make it worth it…Ubuntu 12.04 has Hyper-V drivers included by default for easy VM deployment.